Archival Methods’ 4 x 6 Archive 900 Kit provides safe, archival storage for your 4 x 6″ (and old-school 3-1/2 x 5″) snapshots / negatives / and digital prints. Turn this … … into THIS! This handy and convenient kit allows you to document who’s who / what’s what / where’s where / when’s when for ALL of your snapshots and digital prints. 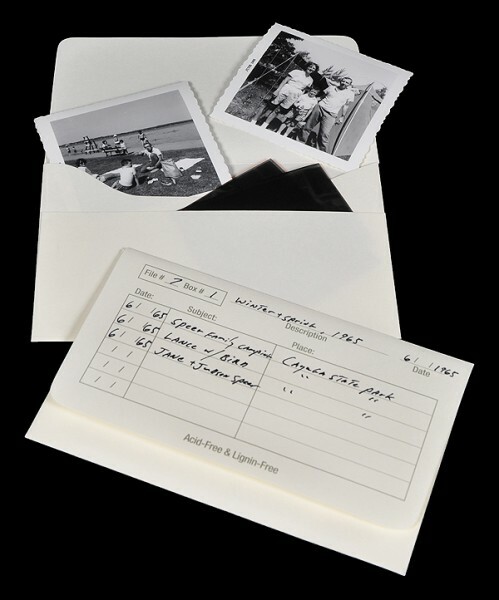 Simply write information about your different groups of photographs onto the outside of each conveniently pre-printed acid-free 4 x 6 Archive Envelope. You can also transfer any written information from your old drug store film processing envelopes onto these envelopes (see photos below). Everything can be ID’d with month / year / place / event / and people, and the prints and their associated negatives are now archivally safe, identified, and securely filed together. Quick Hack: write on your acid-free envelopes in pencil (click here for more information), which is relatively inert and will not bleed through or otherwise contaminate your collection with the oils and other harmful stuff found in many inks. Also make sure you write any important information on the envelope BEFORE you place your prints and negatives inside to prevent any pencil impressions from transferring to the images themselves. While we’re on the subject of negatives, when going through your old drug store film processing envelopes take a moment to quickly compare the prints that you find with the images on the negatives (which usually accompanied the prints in these envelopes). The reason to do this is because often, over the course of many years, different people have undoubtedly gone through the original envelopes and removed the very best images for placement in photo albums, picture frames, to use as wallet keepsakes, etc. If you quickly compare prints with negatives (not super easy but also not super hard) you might find what appears to be a GREAT snapshot on the negative strip that just wasn’t in the original envelope. 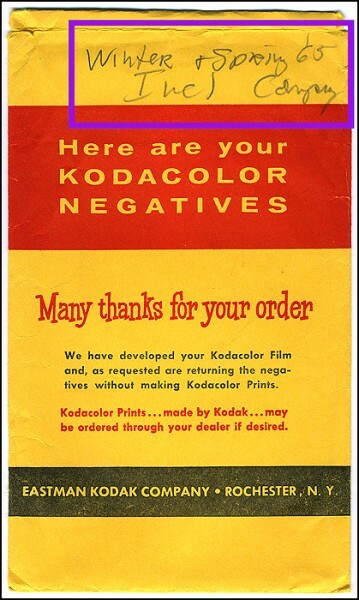 Since you still HAVE the negative, however, you can easily get a new print made of the “missing” image. This is why it is recommended that you ALWAYS keep the negatives and, since its so easy to store negatives in the same 4×6 Archive Envelope as your prints from the same roll, it makes no sense not to. Future generations will thank you for it! 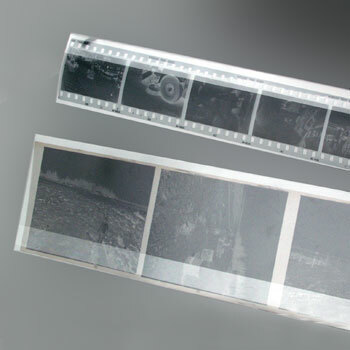 Should you want yet another layer of archival protection for your negatives, consider ordering our Side Lock Film Sleeves (offered separately, see photo above). While these sleeves will need to be trimmed to fit inside the envelope—since they are designed to hold strips of 6 negatives—this is easily accomplished with a regular pair of scissors. 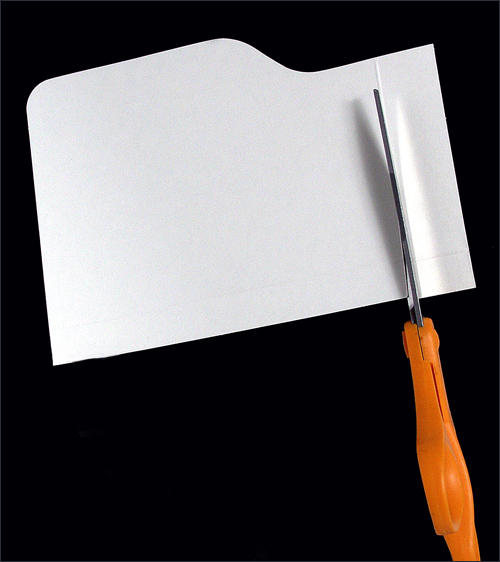 Quick Negative Hack: Our 4 x 6 Archive Envelopes are designed to hold 4-frame negative strips. 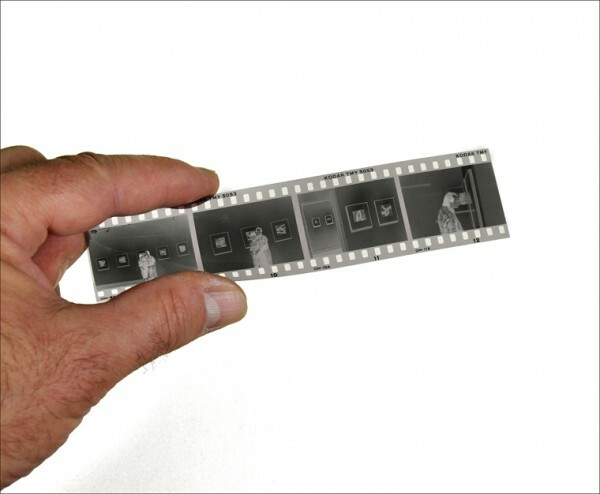 If your negatives were cut in 6-frame lengths during processing simply cut these 6-frame strips in half (3-frames each) and then store them in the handy front negative pocket of each envelope. As always, one should NEVER cut negative strips into individual frames, as that makes re-printing them difficult. If you would prefer to keep 5-frame or 6-frame negatives together on the same negative strip, then consider taking a look at our complete all-in-one Film Storage Systems. 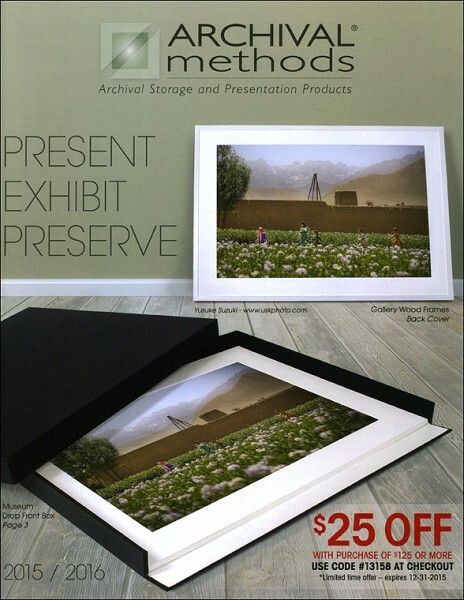 Once you have your snapshots and digital prints safely stored in your 4 x 6 Archive Envelopes, organization is a snap. Just trim the acid-free All Purpose Index Cards that came with your kit with a pair of regular household scissors (these Index Cards are pre-scored so you know exactly where to trim them). 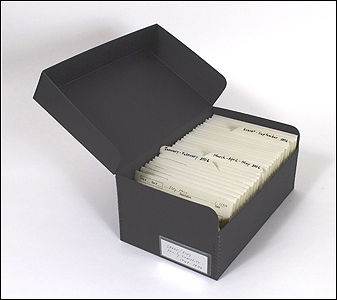 Write any information you would like on each card’s tab—just as you would with regular letter-sized file folders—and place your Archive Envelopes and Index Cards into the elegant 4 x 6 Hinged Lid Black Box and BOOM! You’re done! Nothing could be easier, more compact, more archivally safe than our 4 x 6 Archive 900 Kit! 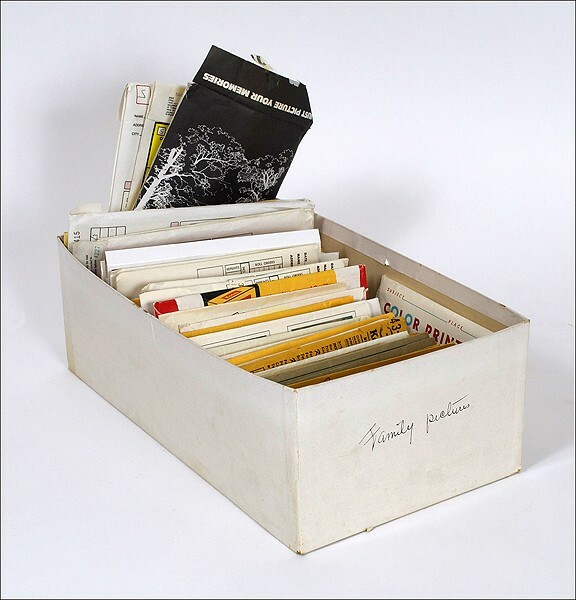 If you would like more information on storing snapshots and digital prints, please visit our extensively-illustrated American Family Archives / Preserving Snapshots blog. 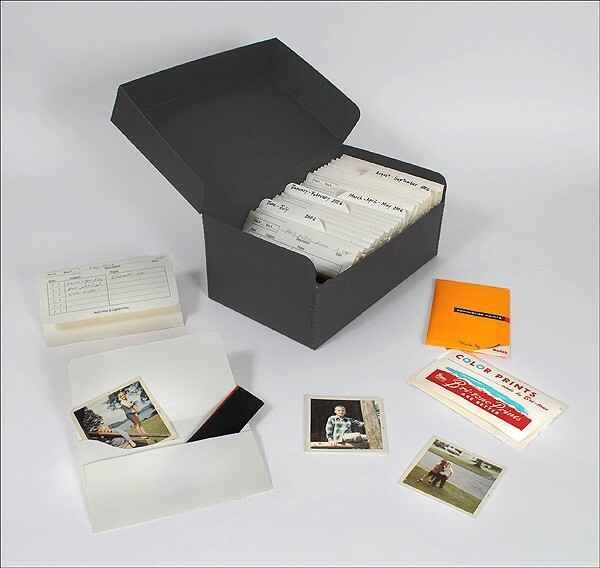 If you have any additional questions regarding our many kits for storing snapshots and digital prints, or you would like more information on any of our museum-quality archival storage and presentation materials, please contact us here at Archival Methods. We’re always there to help with any archiving, storage, or presentation questions you may have.